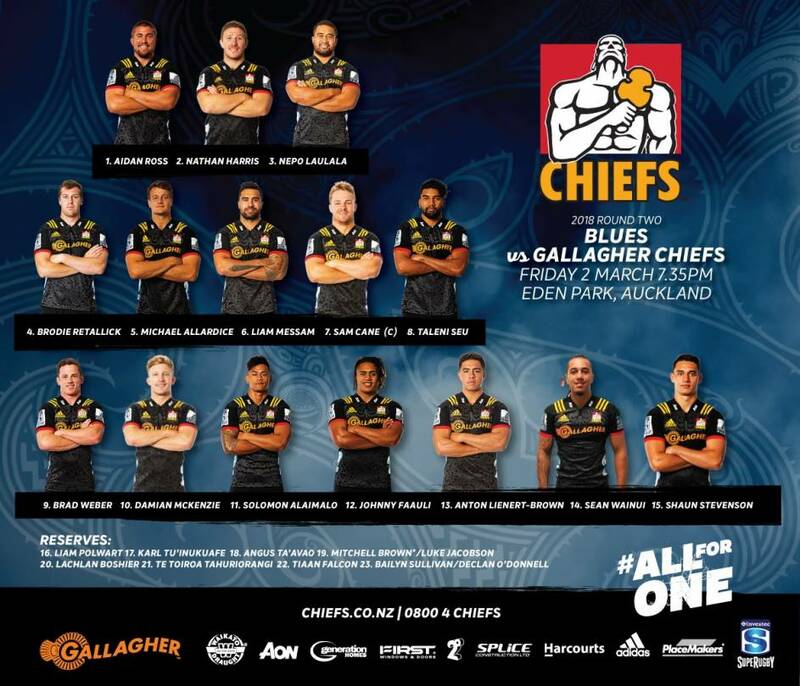 The Gallagher Chiefs kick off round three of the Investec Super Rugby competition with another exciting New Zealand derby against northern rivals the Blues at Eden Park in Auckland. Both teams have everything to play for and are looking to get their respective seasons underway with a win after hard-fought losses in their opening games last weekend. Gallagher Chiefs head coach Colin Cooper has made four changes to the starting fifteen who competed against the Crusaders in Christchurch last Saturday. There are two changes in the forward pack, with Michael Allardice coming in to partner Brodie Retallick at lock and the ever experienced Liam Messam starting in the loose forwards with Sam Cane and Taleni Seu. Sean Wainui makes his first start for the Gallagher Chiefs on the wing with the talented Shaun Stevenson moving to fullback. The game kicks off at 7:35pm this Friday night at Eden Park. Following this round, the team will have a bye, followed by their first home game against the Bulls on Friday 16 March at FMG Stadium Waikato.